Good things come in small packages! With this starter package, you receive a 1-year membership that includes: - Annual Safety School lesson on how to install and properly use your car seat - Biannual “Lotta Love” cleanings which includes high-power vacuuming, sanitizing steam cleaning, light stain treatment, and a wipe down of hard surfaces and reassembly on any stroller or car seat. Save $20 off retail prices with this package -that's one FREE "The Basic" level cleaning! With this upgrade, you get twice as much to enjoy over a 2 year time period: - 2 car seat installations with Safety School lessons on proper use - 4 “Lotta Love” cleanings on any car seat or stroller which include high-power vacuuming, sanitizing steam cleaning, light stain treatment, and a wipe down of hard surfaces -Free, unlimited "The Basics" cleanings for in-between maintenance This $40 discount is equivalent to one free "Lotta Love" cleaning. Scrub-a-dub-dub, this sudsy package is perfect for a growing family. This one year package includes: - Car seat installation with Safety School lesson on proper use - Stroller Tune-Up including full assessment + cleaning/detailing + adjustment/lubrication of all parts Quarterly “Lotta Love” cleanings on any 2 items which includes high-power vacuuming, sanitizing steam cleaning, light stain treatment, and wipe down of hard surfaces With this package, you save $80 - equivalent to 2 free "Lotta Love" cleanings! This is our most popular membership! Double the love and you can enjoy these services within a 2-year period: - 2 car seat installations with Safety School lessons on proper use - Annual Stroller Tune-Ups including full assessment + cleaning/detailing + adjustment/lubrication of all parts - Quarterly “Lotta Love” cleanings on any 2 items which includes high-power vacuuming, sanitizing steam cleaning, light stain treatment, and wipe down of hard surfaces - Free, unlimited "The Basics" cleanings Huge savings of $160 for this membership, equivalent to 4 free "Lotta Love" cleanings make this perfect for families with multiple cars or multiple kids! Go big or go home! Perfect for bigger families with a lot of gear. This one-year membership upgrades your cleaning level to cover vomit, potty accidents, or big stains, and includes: - 2 car seat installations with Safety School lessons on proper use - Annual stroller tune-ups on 2 strollers (or 1 double) including full assessment + cleaning/detailing + adjustment/lubrication of all parts - Quarterly “The Works” cleanings on any 4 car seats or strollers which includes high-power vacuuming, sanitizing steam cleaning, heavy stain treatment, and wipe down of hard surfaces, vomit & potty treatment, if needed, This amazing package saves $300 off retail - that's 5 free "The Works" cleanings! Gotta lotta gear? 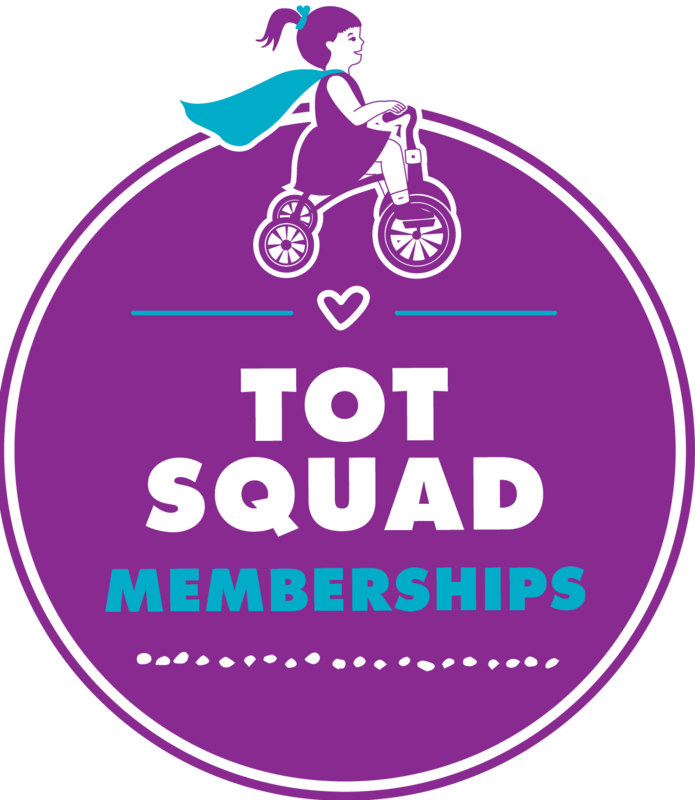 The Granddaddy of Tot Squad memberships will ensure every item in your kids’ lives are squeaky clean and running in top condition. This power package includes the following over a 2 year time period: - 4 car seat installations with Safety School lessons on proper use - Annual stroller tune-ups for 2 strollers including full assessment + cleaning/detailing + adjustment/lubrication of all parts - Quarterly “The Works” cleanings on any 4 items which includes high-power vacuuming, sanitizing steam cleaning, heavy stain treatment, and wipe down of hard surfaces, vomit & potty treatment, if needed, - Free, unlimited "The Basics" cleanings This ultimate package is equal to 10 free "The Works" cleanings! You save $600 when you become a Wonder Works 2 year member!